Attractive 3D eCover For Online Product Needed! 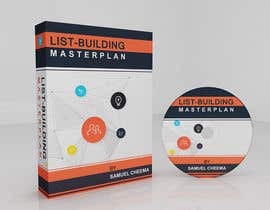 I am looking for an ambitious and skilled freelancer who would be able to create a 3D eCover for a product I am releasing in the Internet Marketing niche. I want a "Bundle" styled 3D eCover.. I will include files as examples of some that I like. 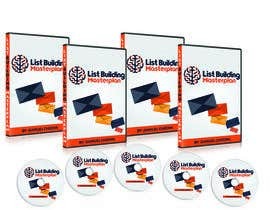 About the Product: This is a video series training about how to build an email list from scratch. 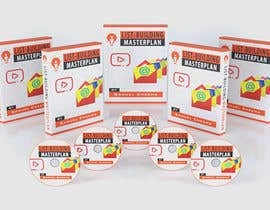 There are about 5 modules with 4-5 videos in each one. I like those covers with software types boxes and then CD's in front of them and will be most preferred by me. Check The Example "Emergency Commissions" For exactly what I am looking for in the type of bundle package.. Then for design it's up to you! The top pick, will get a lot more work from me as I would need more designing stuff needed to this product launch, and all work will go to this individual. So HUGE incentive to join this one. For any questions or clarifications please use the "clarifications" tab in the contest, or simply shoot me a message. I will be super active, and as soon as I see one that I find alright, I will switch this to "Guaranteed" so that we definitely have a winner on this one! where is your product photo? I do not have a photo.. That is what I want to create.. Not just make it 3D but also create the cover and then in that 3D format. I would like the eCover Layout to be like "Emergency Commissions" in the examples file I attached.. The other options are just for a design idea.. but the bundle layout should be like Emergency Commissions. I like that one.